It’s hard to believe in a few short weeks, the holidays will be upon us. For me, it’s the chance to spend time with family and friends and hopefully to bundle up with my children and a bowl of popcorn to watch a movie. And most likely, some time will be spent over the next few weeks doing some holiday gift shopping. A friendly reminder from your friends at Energizer, make sure you don’t forget the batteries for all of the battery powered holiday gifts you might be giving this year. 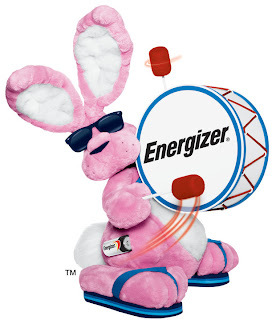 Energizer has just the solution to help you get a jump start on the holidays -- batteries for the gifts and a free online movie on demand rental to help with the relaxation. Simply purchase a package of specially-marked Energizer Ultimate Lithium, Energizer Advanced Lithium or Energizer Recharge AA batteries and you will receive a free online movie on demand rental reward that can be redeemed at Blockbuster.com, Amazon.com, iTunes.com, or the YouTube store. Then visit www.energizer.com/movies and follow the instructions to input your battery pack codes. ***Please note: this promotion is limited to one (1) REWARD CERTIFICATE PER PERSON/HOUSEHOLD/E-MAIL ADDRESS. The last day to redeem codes is 4/30/12 at 11:59 p.m. ET . Your Reward Certificate does expire and must be redeemed for your online movie rental within 2 months from the date of issuance. Redemption of the Reward Certificate is subject to all terms and conditions and policies imposed by Hollywood Movie Money On-Demand Rewards. I am going to need batteries for the keyboard I bought my neice. We are getting our son a wii game, so we will need batteries for the remotes. Pretty much everything my mother in law buys the kids needs batteries for sure I think there will be a remote control car. Cars,Dolls,Books,just about everything this year! I would like to wish everyone everywhere a Very Merry Christmas and Happy New Year!!! I'm going to need batteries for my niece's toys. My son's swing, if that counts as a toy! I always need them for my camera for sure.